I set up Gmail with an embarrassing username I created as a teenager which my friends and family use (let's call it lolz@gmail.com), then later created a serious e-mail account (my.name@gmail.com) which I use as alias via Send mail as feature from my lolz@gmail.com. Recently I was shocked to discover that e-mails sent via my alias my.name@gmail.com had lolz@gmail.com in the Sender header. The Treat as an alias option doesn't seem to have any effect on this. Has anyone found a way to dispose of the Sender header? Here you can see the Sender (and others) header. You can access it by clicking on the "details" arrow in mail detail (right top of the mail) and then "Show original". 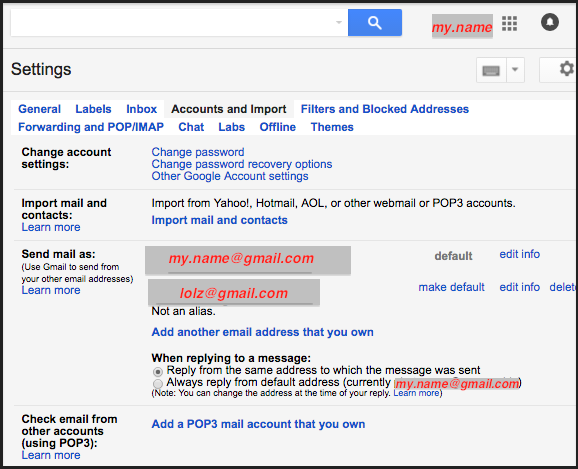 For security reasons the original gmail account (google domain) will always be shown. In your case the best thing to do would be to use your my.name@gmail.com account as your main account, create there an alias as lolz@gmail.com and have either email checked from that account or everything forwarded from your original lolz@gmail account to my.name@gmail.com. Check email from other accounts with Gmail If you have multiple email accounts, you can check them all in Gmail. Gmail’s Mail Fetcher feature first imports all your old messages to Gmail and then continues to bring in new messages sent to your other account. You can add up to 5 accounts, including Gmail and other email providers. If you only want to get new emails brought into Gmail, try auto-forwarding your mail instead. This way when replying to friends and family will still get your lolz@gmail.com account (sender and reply path to my.name@gmail.com) and business associates ONLY your my.name@gmail.com account. 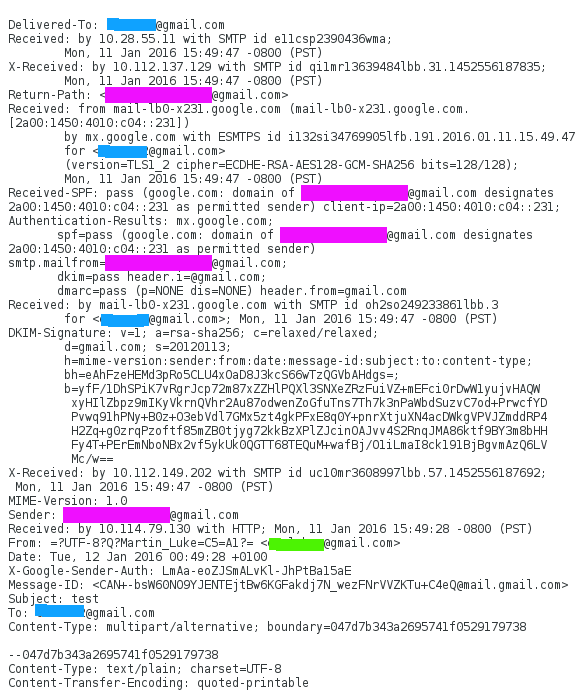 How do I remove “sent by” in Google Apps Gmail aliases? Changing name when sending mail from same account in Gmail?